It’s such a pleasure to be a party of a company’s Christmas Celebration. 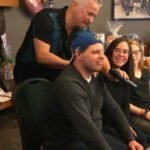 Over the weekend I had the pleasure of entertaining for Family Ties in Lethbridge (see short video below), a law firm, and Neu-Lite Electric. I had two 1 hour hypnosis presentations along with a full evening event for Neu-Lite Electric. 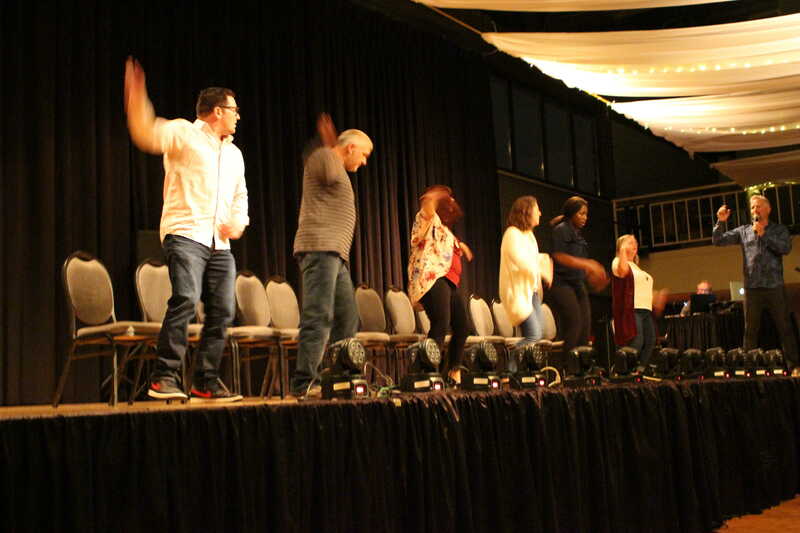 My hypno-game show was a huge success in getting everyone involved and making sure there were plenty of volunteers for the hypno-challenge leading into the hypnosis show. I think Greg makes a great Santa for these staff members and guests (Emily and Amber from left to right). Thanks to all of my volunteers who helped make these events so positively memorable. Looking for some last minute entertainment? Book a one hour show for your next social event. Connect with me james@jrmatthew.com to check availability. 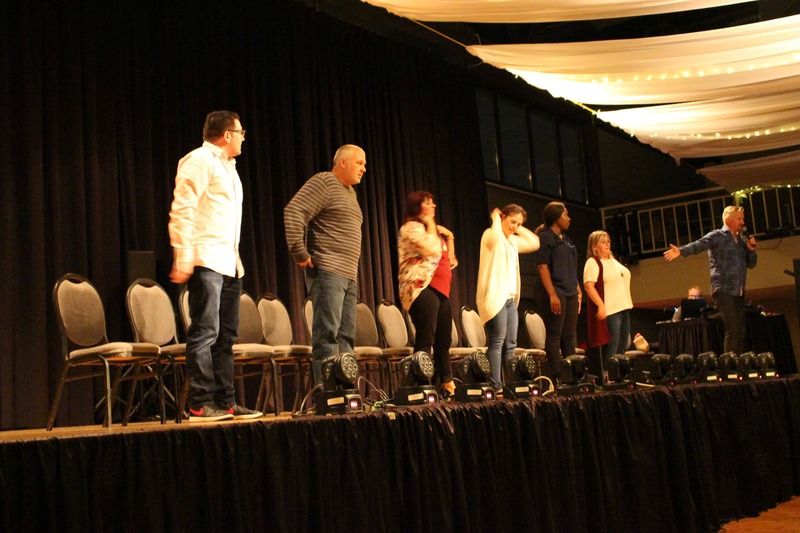 With any hypnosis show, it is so important to have as many volunteers as possible. 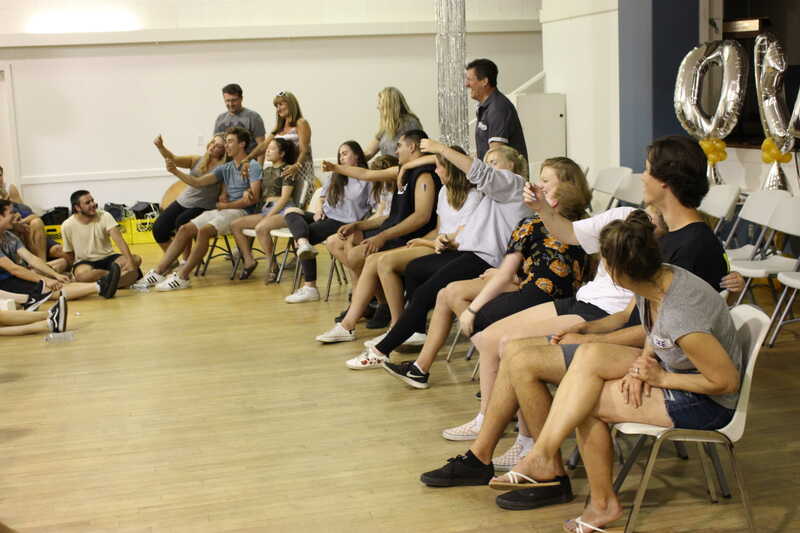 As a “clean” hypnotist, I take great pride in being able to offer a hypnotic experience to my volunteers they can enjoy being part of and watching videos of after the fact. It’s an important selling point when the group, in general, is afraid to get hypnotized because they may get embarrassed by what they do on stage during the show. 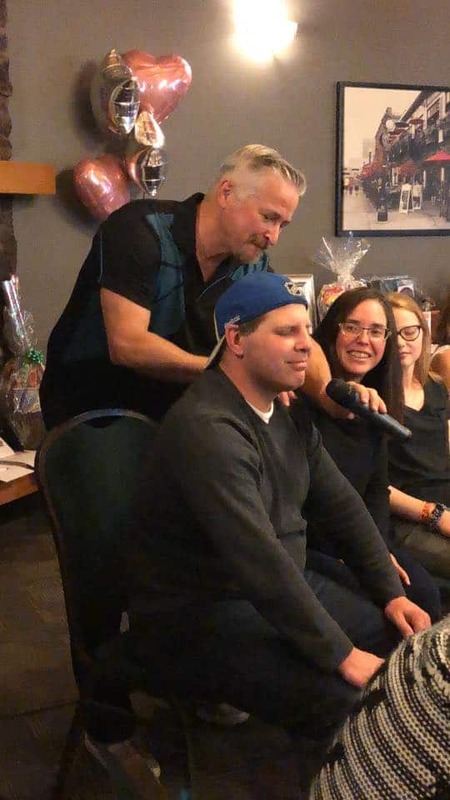 Getting hypnotized in my show means your going to be a star and be rewarded with great suggestions like a great nights sleep, increased confidence and better focus for goals. There’s also the fun of hypno jet skiing, racing horses, and being the world’s best model (to name just a few skits). 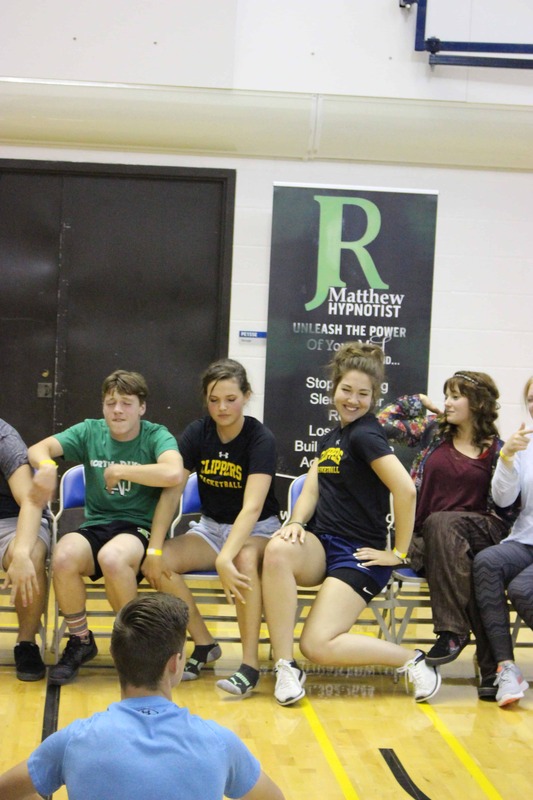 Watch the video, there are more people getting hypnotized than sitting in the audience. Special thanks to all my volunteers and Murray Chevrolet Cadillac for having me as their entertainment. I get people asking me (all the time) if my shows and presentation are school age appropriate and yes they are. Here are a couple of reviews on my school shows and classroom presentations. 1 hour classroom presentations focus on self esteem, how it develops and how it can be built up. This presentation enlightens students on their current status and validates the information schools are currently presenting in classrooms. The use of START provides a simple memory and visual tool to help with focus and self awareness. November 17th I had the pleasure of performing for a family run business Christmas party. 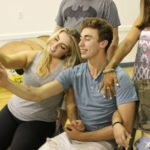 Devron was a great star in the show. I love hearing back from people in my shows and what they think about the whole process of getting hypnotized and being in the show. Thanks Devron! November 15 school presentation in Southwest Saskatchewan. November 16 JR will be live, up close and personal at the Smoke Hut Cafe in Lethbridge. Show time is 8pm. Tickets only $10. 403-382-7644 for more details. It’s always nice to get a review on a show to let people know it’s great to have a hypnotist perform even at a 13 year old birthday party with under 10 people there! Gearing Up For Christmas Parties And Grads. Want To Have A Great Event? As the season changes it’s time to look around and see how happy you are with yourself and your life. This is a four week program including audio tracks, health coaching, and accountability to achieve results. Start today by emailing james@jrmatthew.com, call or text 403-382-7644. As the temps start to cool thing are really heating up in the world of hypnosis shows and bookings! Prime Christmas dates are going fast with only a few left in November and December. 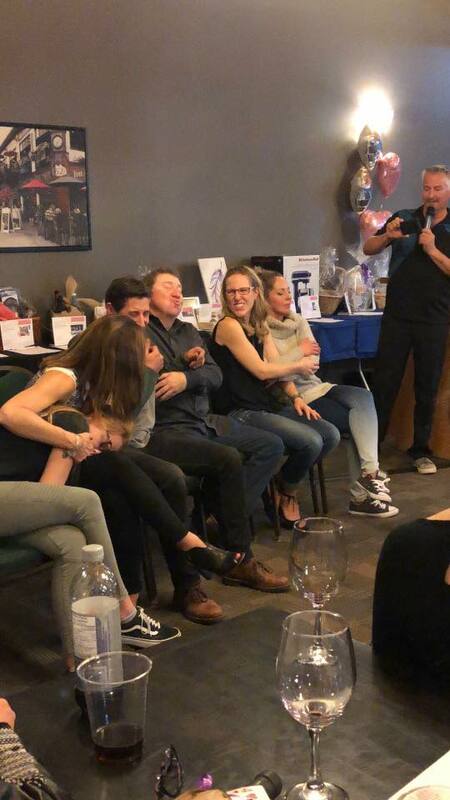 If you are looking for great hypnosis entertainment and fun be sure to email james@jrmatthew.com or call 403-382-7644 to check on available dates and pricing. It’s great to perform outside when the weather is nice. Sept 8, Tollestrup Construction’s annual family and friends BBQ was a great success! 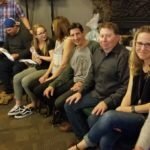 Fall is also a great time to book for January company socials and for grad season 2019. 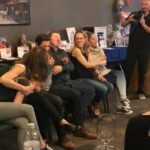 JR has a goal to more than double the number of shows he is doing for the last part of the year. As part of his passion for entertaining he is bringing back the fun team challenge of The Ultimate Game Show. You and your friends (or the people at your table) form a team and compete for points against other teams. The game show consists of a series of challenges like music trivia and scavenger hunts along with various other challenges which are just a ton of fun to watch and compete in. 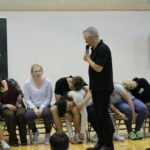 It all caps off with the great hypnosis challenge where each team works to get the most people hypnotized. It is unique, fun and very fast paced. You are going to love it! Email james@jrmatthew.com for details and with questions. Here’s a review on what to expect..